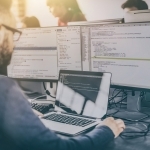 The Achilles heel of any enterprise software tool can often be its ability (or lack of ability) to synchronize and share data with other business systems. Whether you need to integrate with ERP, PLM, PDM, CRM, or something else, Razorleaf has multiple ways to get the job done. Razorleaf has created, configured, and developed numerous integrations across PDM, PLM, MRP, ERP, CRM, SharePoint, and custom applications, including an ERP connector OEMed by one of the top three PLM vendors, a CAD connector OEMed by one of the top ten ERP vendors, and a SharePoint to PLM integration commissioned by Microsoft. Razorleaf’s consultants have been defining, developing, configuring, and deploying enterprise system integrations for years, commonly connecting PDM and PLM with ERP, departmental PDM with enterprise PLM, and creating publication systems from PDM and PLM to enterprise portals like SharePoint. The team understands the critical characteristics of system-to-system integration as well as system-to-ESB (Enterprise Service Bus) integration, including: synchronicity (whether event-driven, batch mode, or through other triggers), directionality (one direction or both), transformation (logic and rules governing data modification), and conflict/failure resolution. Razorleaf leverages key elements of its Custom Development Approach (based in RUP, Agile, and Iconix) when delivering integration-based solutions. 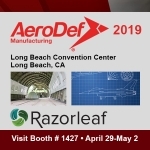 Specifications, sample data, and use cases are key elements of Razorleaf’s approach to systems integration, ensuring performance to requirements and repeatable success.